Every couple of weeks, Gareth Reynolds and Dave Anthony explore an historical titbit on their podcast The Dollop. They're not interested in history's grand sweeping narratives, rather those stories which you'll struggle to believe are true, featuring some of the greatest weirdos, charlatans and bad-asses that the world has ever seen. Past subjects they've tackled include The Battle of Hayes Pond, which pitted the Lumbee Tribe against the Ku Klux Klan, and the life and times of 'monkey whisperer' R. L. Garner. If these guys had been your teachers in school, history class may not have been such a snooze! 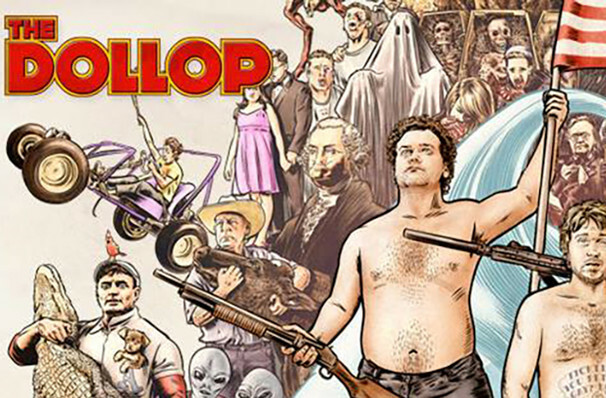 Gareth Reynolds and Dave Anthony occasionally take their show on the road, and you can catch a live recording of The Dollop when they hit in , , . 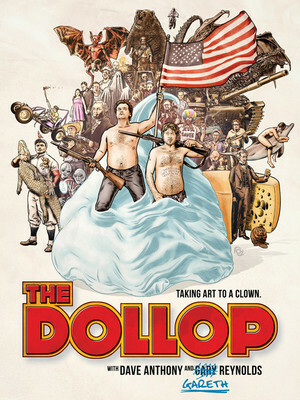 Seen The Dollop? Loved it? Hated it? Sound good to you? Share this page on social media and let your friends know about The Dollop at Speaker Jo Ann Davidson Theatre. Please note: The term Speaker Jo Ann Davidson Theatre and/or The Dollop as well as all associated graphics, logos, and/or other trademarks, tradenames or copyrights are the property of the Speaker Jo Ann Davidson Theatre and/or The Dollop and are used herein for factual descriptive purposes only. We are in no way associated with or authorized by the Speaker Jo Ann Davidson Theatre and/or The Dollop and neither that entity nor any of its affiliates have licensed or endorsed us to sell tickets, goods and or services in conjunction with their events.